Scientific space robots include: flyby spacecraft, orbiter spacecraft, atmospheric probe spacecraft, atmospheric balloon packages, lander spacecraft, surface penetrator spacecraft, surface rover spacecraft, and observatory spacecraft. all equipment, except perhaps for a very rugged instrument package or payload container. The hard landing can be intentional, as has occurred during NASA's Ranger missions, which were designed to crash into the lunar surface; or unintentional, as when a retrorocket system fails to fire or a parachute system fails to deploy, and the robot lander strikes the planetary surface at an unexpected and unplanned high speed. Aerospace engineers design lander spacecraft to follow an impact trajectory to a planet's surface. They also want the robot to survive by touching down on the surface at a very low speed. Sometimes, a lander spacecraft is sent on a direct impact trajectory; at other times the robot is carried through interplanetary space by a mother spacecraft and then released on an impact trajectory after the mother spacecraft has achieved orbit around the target planet. Following separation from the orbiting mother spacecraft, the lander travels on a carefully designed impact trajectory to the target planet's surface. 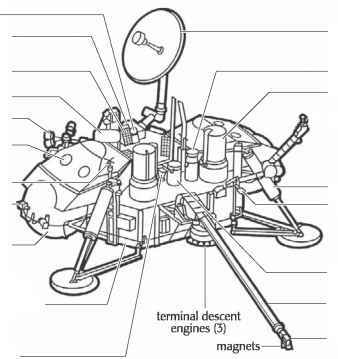 NASA's Surveyor spacecraft to the Moon are an example of the former soft-landing mission approach, while the Viking 1 and 2 lander missions to Mars are an example of the latter design approach. The Viking 1 and 2 lander spacecraft placed on the Martian surface in 1976 represent one of the great early triumphs of robotic space exploration. After separation from the Viking orbiter spacecraft, the lander (protected by an aeroshell) descended into the thin Martian atmosphere at speeds of approximately 9,940 miles per hour (16,000 km/hr). As it descended, the lander was slowed down by aerodynamic drag until its aeroshell was discarded. 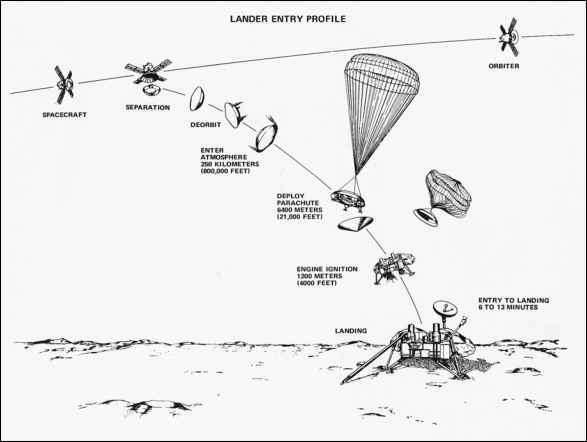 Each robot lander spacecraft was then slowed down further by the release of a parachute. Finally, the robot achieved a gentle landing by automatically firing retrorockets. Of special significance is the fact that both Viking landers successfully accomplished the entire soft-landing sequence automatically, without any direct human intervention or guidance. In another lander/probe mission scenario, the mother spacecraft releases the lander or robot probe, while the co-joined spacecraft pair is still some distance from the target planetary object. Following release and separation, the robot probe follows a ballistic impact trajectory into the atmosphere and onto the surface of the target body. This scenario occurred when the Cassini mother spacecraft released the hitchhiking Huygens probe on December 25, 2004, as Cassini orbited around Saturn. Following separation, the Huygens traveled for about 20 days along a carefully planned ballistic trajectory to Saturn's moon Titan. When it arrived at Titan on January 14, 2005, the Huygens entered the moon's upper atmosphere, performed a superb data-collecting descent, and successfully landed on the moon's surface. enters orbit around it. Depending upon its precise speed and altitude (and other parameters), the robot spacecraft can enter this captured orbit from either the trailing edge (trajectory b in the figure on page 37) or the leading edge (trajectory c in the figure on page 37) of the planet. In the third type of trajectory, called a flyby trajectory, the spacecraft remains far enough away from the planet to avoid capture, but passes close enough to be strongly affected by its gravity. In this case, the speed of the spacecraft will be increased if it approaches from the trailing side of the planet (trajectory d in the figure on page 37) and diminished if it approaches from the leading side (trajectory e in the figure on page 37). In addition to changing speed, the spacecraft's motion also changes direction. tug on a flyby spacecraft, and they call this important orbital-mechanics technique a gravity-assist maneuver. A better understanding of the gravity-assist is obtained through the use vectors in a slightly more detailed, mathematical explanation. The way in which speed is added to the flyby spacecraft during close encounters with the planet Jupiter is shown in the figure on page 40. During the time that either Voyager 1 or 2 was near Jupiter, the heliocentric (Sun-centered) path each spacecraft followed in its motion with respect to Jupiter was closely approximated by a hyperbola. 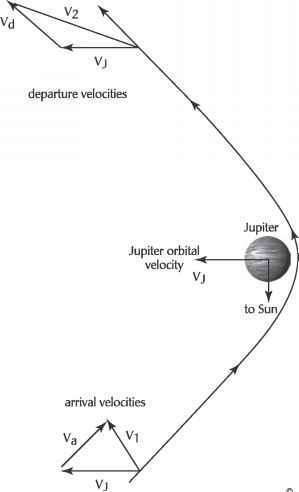 The heliocentric velocity of the spacecraft is the vector sum of the orbital velocity of Jupiter (Vj) and the velocity of the spacecraft with respect to Jupiter (that is, tangent to its trajectory—the hyperbola). The spacecraft moves toward Jupiter along an asymptote, approaching from the approximate direction of the Sun and with asymptotic velocity (Va). The heliocentric arrival velocity (V1) is then computed by vector addition: V1 = Vj + Va. The spacecraft then departs Jupiter in a new direction, determined by the amount of bending that is caused by the effects of the gravitational attraction of Jupiter's mass upon the mass of the spacecraft. The asymptotic departure speed (Vd) on the hyperbola is equal to the arrival speed. Thus, the length of Va equals the length of Vd. For the heliocentric departure, the velocity is: V2 = Vj + Vd. This vector sum appears in the upper portion of the figure. During the relatively short period of time that the spacecraft is near Jupiter, the orbital velocity of Jupiter (Vj) changes very little, and so scientists assume that VJ is equal to a constant. The vector sums in the figure illustrate that the deflection, or bending, of the spacecraft's trajectory caused by Jupiter's gravity results in an increase in the speed of the spacecraft along its hyperbolic path, as measured relative to the Sun. For Voyager 1 and Voyager 2, this increase in velocity reduced the total flight time necessary to reach Saturn and points beyond. This indirect type of deep-space mission to the outer planets saves two or three years of flight time, compared to direct-trajectory missions, which do not take advantage of gravity assist. What happens to Jupiter (or any other planet) as a result of a spacecraft's gravity-assist maneuver? The principle of conservation of momentum is at work here. (In Newtonian mechanics, linear momentum is defined as the product of mass times velocity). While the spacecraft gains momentum (and thus speed) during its encounter with Jupiter, the giant planet loses some of its momentum (and consequently orbital speed) during the encounter—since there is no change in mass for either object. Because of the extreme difference in their masses, however, the change in Jupiter's velocity is negligible. onboard instruments to observe passing celestial targets (for example, a planet, a moon, an asteroid), and can even compensate for their target's apparent motion in an optical instrument's field of view. They must be able to transmit data at high rates back to Earth and also capable of storing data on board for those periods when their antennae are not pointing toward Earth. Flyby spacecraft must be capable of surviving in a powered-down, cruise mode for many years of travel through interplanetary space, and then of bringing all their sensing systems to focus rapidly on a target object during an encounter period that may last only for a few crucial hours or minutes. NASA's Pioneer 10 and 11 and the Voyager 1 and 2 are examples of highly successful flyby scientific spacecraft. NASA uses the flyby spacecraft during the initial, or reconnaissance, phase of solar-system exploration. onboard data storage a necessity. NASA uses orbiter spacecraft as part of the second, in-depth study phase of solar system exploration. The Lunar Orbiter, Magellan, Galileo, and Cassini are examples of successful scientific orbiters. probe) missions involved the deployment of a probe or probes into the target planetary body's atmosphere (i.e., Venus, Jupiter, and Saturn's moon Titan, respectively). 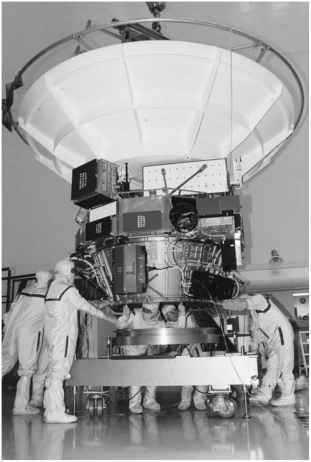 An aeroshell protects the atmospheric probe spacecraft from the intense heat caused by atmospheric friction during entry. At some point in the descent trajectory, the aeroshell is jettisoned and a parachute then is used to slow the probe's descent sufficiently for it to perform its scientific observations. 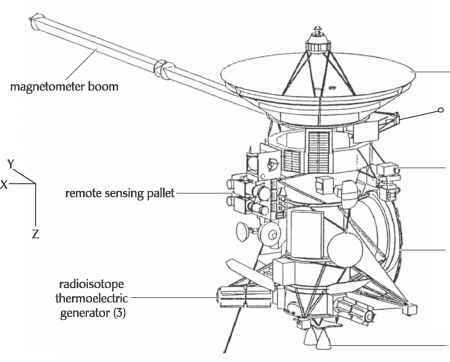 Data usually are telemetered from the atmospheric probe to the mother spacecraft, which then either relays the data back to Earth in real time or records the data for later transmission to Earth. An atmospheric balloon package is designed for suspension from a buoyant gas-filled bag that can float and travel under the influence of the winds in a planetary atmosphere. Tracking of the balloon package's progress across the face of the target planet will yield data about the general circulation patterns of the planet's atmosphere. 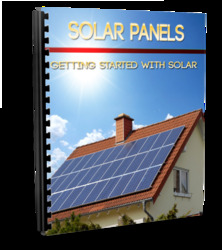 A balloon package needs a power supply and a telecommunications system (to relay data and support tracking). It also can be equipped with a variety of scientific instruments to measure the planetary atmosphere's composition, temperature, pressure, and density. balloon entered the sunlit dayside of the planet, over-expanded due to solar heating, and burst. Lander spacecraft are designed to reach the surface of a planet and survive at least long enough to transmit back to Earth useful scientific data, such as imagery of the landing site, measurement of the local environmental conditions, and an initial examination of soil composition. For example, the Russian Venera lander spacecraft have made brief scientific investigations of the inferno-like Venusian surface. In contrast, NASA's Surveyor lander craft extensively explored the lunar surface at several landing sites in preparation for the human Apollo Project landing missions, while NASA's Viking 1 and 2 lander craft investigated the surface conditions of Mars at two separate sites for many months. A surface penetrator spacecraft is designed to enter the solid body of a planet, an asteroid, or a comet. It must survive a high-velocity impact and then transmit subsurface information back to an orbiting mother spacecraft. NASA launched the Mars Polar Lander (MPL) in early January 1999. MPL was an ambitious mission to land a robot spacecraft on the frigid surface of Mars near the edge of the planet's southern polar cap. Two small penetrator probes (called Deep Space 2) piggybacked on the lander spacecraft on the trip to Mars. After an uneventful interplanetary journey, all contact with the MPL and the Deep Space 2 penetrator experiments was lost as the spacecraft arrived at the planet on December 3, 1999. The missing lander was equipped with cameras, a robotic arm, and instruments to measure the composition of the Martian soil. The two tiny penetrators were to be released as the lander spacecraft approached Mars and then follow independent ballistic trajectories, making impact on the surface and then plunging below it in search of water ice. 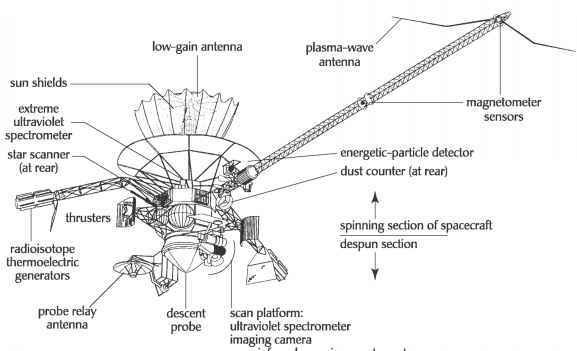 The exact fate of the lander and its two tiny microprobes remains a mystery. Some NASA engineers believe that the MPL might have tumbled down into a steep canyon, while others speculate the MPL may have experienced too rough a landing and become disassembled. A third hypothesis suggests the MPL may have suffered a fatal failure during its descent through the Martian atmosphere. No firm conclusions could be drawn, because the NASA mission controllers were completely unable to communicate with the missing lander or either of its hitchhiking planetary penetrators. Finally, a surface rover spacecraft is carried to the surface of a planet, soft-landed, and then deployed. 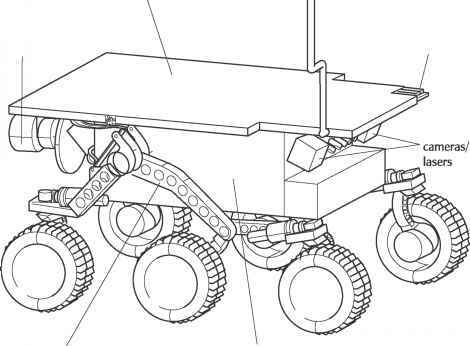 The rover can either be semiautonomous or fully controlled (through teleoperation) by scientists on Earth. Once deployed on the surface, the electrically powered rover can wander a certain distance away from the landing site and take images and perform soil analyses. Data then are telemetered back to Earth by one of several techniques; via the lander spacecraft, via an orbiting mother spacecraft, or (depending on size of rover) directly from the rover vehicle. The Soviet Union deployed two highly successful robot surface rovers (called Lunokhod 1 and 2) on the Moon in the 1970s. In December 1996, NASA launched the Mars Pathfinder mission to the Red Planet. From its innovative airbag-protected bounce and role landing on July 4, 1997, until the final data transmission on September 27, the robot lander/rover team returned numerous close-up images of Mars and chemical analyses of various rocks and soil found in the vicinity of the landing site. The Spirit and Opportunity (2003) Mars Exploration Rovers are the first of many robot rovers that will scamper across the Red Planet this century. As described in chapter 8, NASA plans to continue exploring the surface of Mars with a variety of more sophisticated lander and mobile robots over the next two decades. observatory can view distant celestial targets unhindered by the blurring and obscuring effects of Earth's atmosphere. NASA's Spitzer Space Telescope (SST) is an example. The Spitzer Space Telescope is the final mission in NASA's Great Observatories Program—a family of four orbiting observatories each studying the universe in a different portion of the electromagnetic spectrum. 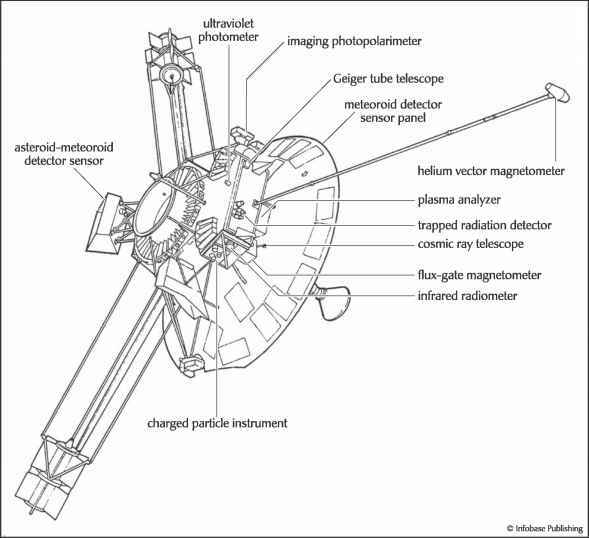 The Spitzer Space Telescope (SST)—previously called the Space Infrared Telescope Facility (SIRTF)—consists of a 2.8-foot-(0.85-m-) diameter telescope and three cryogenically cooled science instruments. NASA renamed this space-based infrared telescope in honor of the American astronomer Lyman Spitzer, Jr. (1914-97). The SST represents the most powerful and sensitive infrared telescope ever launched. 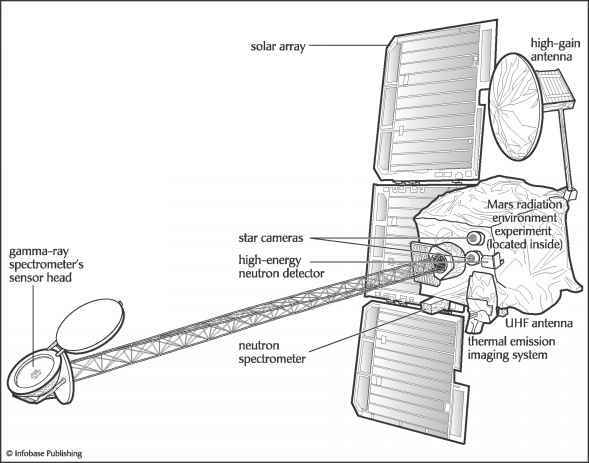 The orbiting facility obtains images and spectra of celestial objects at infrared radiation wavelengths between three and 180 micrometers (^m)—an important spectral region of observation mostly unavailable to ground-based telescopes because of the blocking influence of Earth's atmosphere. Following a successful launch (August 25, 2003) from Cape Canaveral, SST traveled to an Earth-trailing heliocentric orbit that allowed the telescope to cool rapidly with a minimum expenditure of onboard cryogen (cryogenic coolant). With a projected mission lifetime of at least 2.5 years, SST has taken its place alongside NASA's other great orbiting astronomical observatories, and is now collecting high-resolution infrared data that help scientists better understand how galaxies, stars, and planets form and develop. Other missions in this program include the Hubble Space Telescope (HST), the Compton Gamma Ray Observatory (CGRO), and the Chandra X-ray Observatory (CXO).